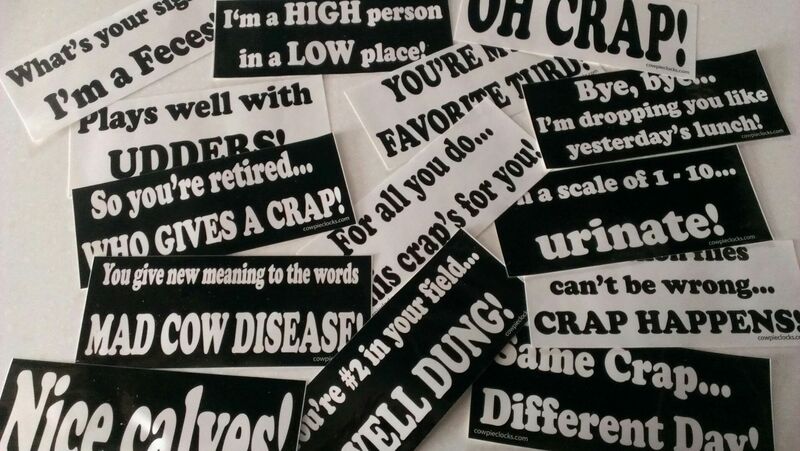 Laugh until the cows come home with this collection of 27 amusing bumper stickers! If you're going to be a turd, GO LAY IN THE YARD! Merry Christmas and a Crappy New Year! Cows of America say "LEGALIZE GRASS"
Feel like crap...take a look! Don't crap where you eat! When the chips are down...the cow is empty! I don't give a crap about your kid on the HONOR ROLL! Do a good turd daily! Boycott shampoo...demand the real poo! The crap goes both ways!